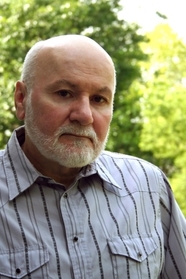 Loren D. Estleman is the author of more than fifty novels, including the Amos Walker, Page Murdock, and Peter Macklin series. Winner of three Shamus Awards, three Western Heritage Awards, four Spur Awards and many other literary prizes. He lives outside Detroit with his wife, author Deborah Morgan. A new Amos Walker mystery from award-winning author Loren D. Estleman! A riveting western novel starring beloved character Page Murdock from Spur Award-winning author Loren D. Estleman! Loren D. Estleman's most popular characters, PI Amos Walker and hit man Peter Macklin, are together in one story for the first time in Black and White Ball! Two westerns from Spur Award-Winning author Loren D. Estleman, now in Mass Market! The Ballad of Black Bart: a riveting western novel from Spur Award-Winning Author Loren D. Estleman. A killer is reenacting the deaths of Hollywood's blond bombshells, and Valentino must stop him before it's too late in Loren D. Estleman's Brazen. Two Westerns in the Page Murdock series from Spur Award-Winning Author Loren D. Estleman! Two westerns from Loren D. Estleman, now in one mass market edition! The Sundown Speech, a hot new Amos Walker mystery by Loren D. Estleman, the master of the hard-boiled detective novel. Locked in a deadly feud, cowboys Randy Locke and Frank Farmer have spent decades attempting to annihilate each other any time they are within shooting distance. In Burning Midnight, master of the hard-boiled detective novel Loren D. Estleman gives readers a hot new Amos Walker mystery. When a cigarette smuggler goes missing under suspicion of terrorist ties, detective Amos Walker is on the case. But can he uncover a ruthless counterfeiting ring in time to save his old friend, or even himself? In his exciting twentieth mystery, hardboiled detective Amos Walker is hired to help free a mobster who once tried to kill Barry Stackpole, Walker's only true friend. When mild-mannered UCLA film archivist Valentino buys a decrepit movie palace, he uncovers a skeleton and long-lost, priceless, reels of film: Erich von Stroheim's infamous Greed. Now, if Valentino wants to save keep the film, he has to solve the murder within 72 hours.